In 1994, in Toronto, the vampire Boya awakens from his twenty-five years of sleep in a basement hit by a golf ball. He takes a cab to the local cemetery, retrieves his belongings from a grave and lodges in a low budget hotel nearby an all-night donut shop. Boya does not drink human blood anymore but rats and pigeons blood instead. While in the donut shop, Boya befriends and protects the taxi driver Earl, who is having trouble with two criminals, and falls in love for the waitress Molly. Meanwhile, his former passion of 1969, Rita, who misses her lost youth, is trying to locate him. 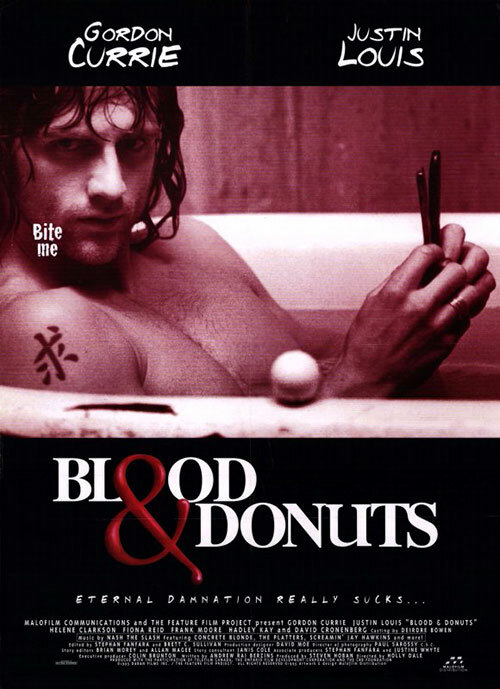 1 Response to "Blood & Donuts (1995) Holly Dale"